The world's population is growing rapidly, and the governing bodies of larger cities are finding it increasingly difficult to manage public operations. Thanks to the Internet of Things (IoT), exchanging data in a common network has become much more manageable. Technology is playing a major role in developing smart cities, which will not only make the jobs of planners and architects easier, but also enhance our lives. Virtual reality (VR) is making a significant impact in the fields of architecture, manufacturing, entertainment, medical science and real estate. Virtual 3D city models of urban areas are being developed to represent buildings, landscaping, vegetation and terrain. City planners utilize these 3D maps to visualize new development possibilities and spatial design in an existing urban landscape. The models can also be used to compare different design strategies. These simulations take into account specific statistics, such as population, land use, building heights, housing densities and costs of development. Planners can then use these models to study the future impact of new and existing building plans. Another great aspect of virtual models and simulations is that citizens can become more involved in urban planning. This way, public concerns and values can factor into government decisions. What Are Virtual Models and Simulations? The use of VR in simulations and modeling gives people the ability to interact with a 3D visual representation of a real or imaginary city project. It offers a multi-sensory, interactive experience allowing users to interact with the simulation using special glasses and gloves. As the person moves, these are picked up by motion sensors, which then adjust the view in real-time. In smart cities, digital technology is being used to create better homes and area layouts. Thanks to these advances in VR, there are vast improvements being made in the lives of city dwellers. 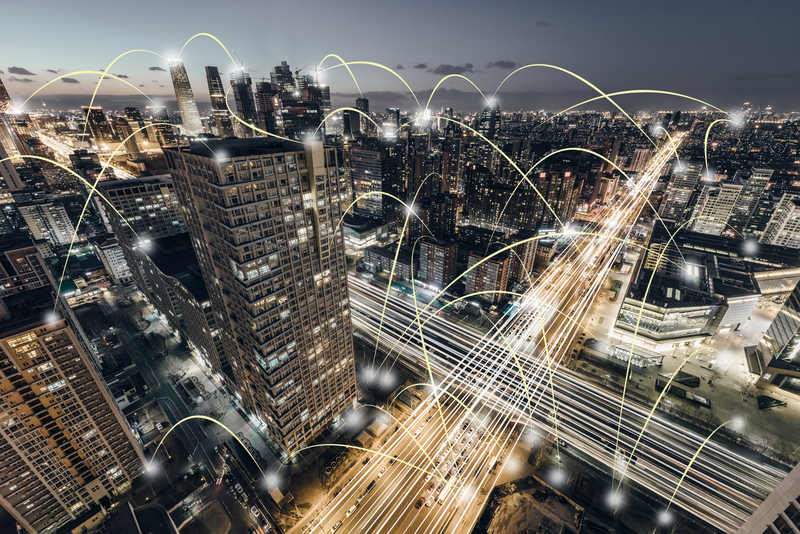 It's predicted that the IoT will connect 30 billion devices by 2020, according to IEEE. Everything from your dog's collar to your smart home entertainment hub will be communicating with each other, as well as other connected devices. This can easily be achieved at home using devices available today. As a result of these technological advancements, both private and public organizations can gain valuable insight into the needs and wants of the people in their communities. They'll be able to develop strategies for long-term growth and create more energy-efficient environments. The resulting improvements in infrastructure will keep citizens safer and happier. Additionally, smart technology is being used by cities to locate assets like buses, trucks and machinery. In certain cities, trash receptacles have been programmed to indicate when they're full to cut down on garbage disposal issues. Many public services in smart cities are managed without any human interaction at all, resulting in more efficient service. The interiors of buildings are kept at the ideal temperature and humidity thanks to smart sensors, maintaining the perfect environment. Motion sensors are also used to shut off street lights when there's no one in the vicinity, leading to substantial energy savings. The rise of the IoT and geospatial technologies like virtual modeling and simulations have positively impacted the way students learn. Future architects and town planners are being provided with new methods of learning and acquiring spatial thinking skills. City planners are being trained to deal with the ever-changing technological advancements. As a result, planners and architects are entering the job force with better competency and awareness. They're also able to stay more relevant and keep up with changing trends. 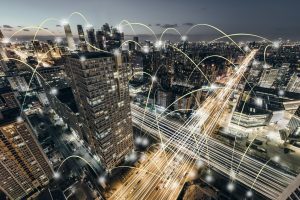 It's clear that virtual modeling and simulations offer new possibilities in designing smart cities that we never thought were possible before. It's important to keep the inhabitants of the city involved in the process so that new strategies are developed keeping their needs in mind. Agents, are you aware of any smart technology being used in your city? Judith Pascal is a new-age tech junkie. She's fascinated by all technology and loves reading and writing about gizmos that make the world a bit easier and a whole lot more fun. Pascal hunts down the latest electronic gadgets that are making waves. She recommends The Trust Compass for smart tech reviews.